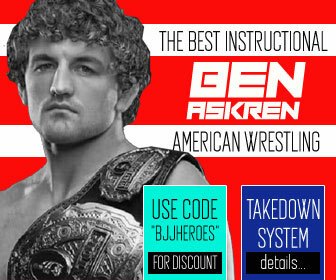 Roberto Abreu, also known as “Cyborg”, is a Brazilian born Jiu Jitsu competitor and instructor who earned his black belt training with the Nova Geracao Team, having since started his own successful academy (Fights Sports) from which he has produced several talented grapplers such as Jake Mackenzie, Ricardo Rezende, Hunter Edward and many others. 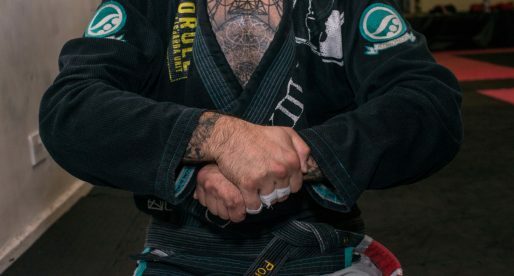 Since he moved to Miami in the US, Cyborg has become a household name for Jiu Jitsu fans through his unique style and his trademark position, the Tornado Guard, made famous in fights against Abmar Barbosa and Braulio Estima. Nickname: Roberto had a tough Car accident back in 2000 when he was a Blue Belt. The car accident shattered his left arm, and the doctors told Cyborg he probably wouldn’t move his arm again (he took over 300 stitches and still has broken glass on his arm today). 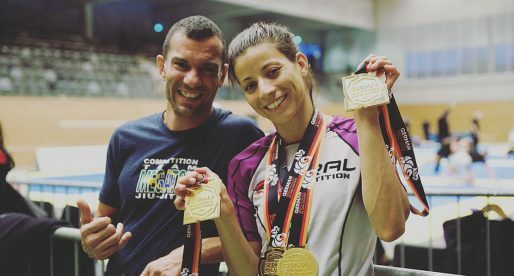 4 months after the accident, Roberto took 2nd in the Brazilian Nationals. 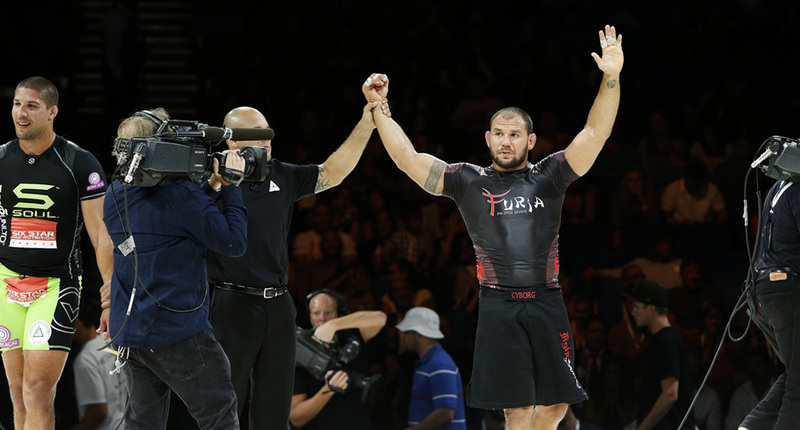 Because Roberto had never been to a major tournament final before, Isaias, a black belt from Carlson Gracie’s academy gave him the nickname Cyborg. Weight Division: Super Pesado and Pesadíssimo (Under 100kg/221 and over 100kg/221lbs). Association/Team: CYBORG Fight Sports Team. Roberto Abreu was born on the 20th of December, in 1980 on a city named Campo Grande in the Brazilian state of Mato Grosso do Sul. 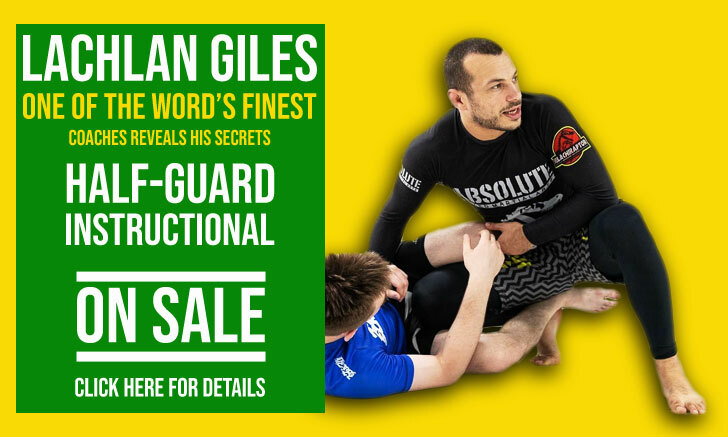 Roberto’s first contact with Brazilian Jiu Jitsu came by way of play-fighting with a friend. This friend challenged Roberto for a fight jokingly which Cyborg accepted. Roberto found the challenge amusing because his friend was very small and skinny. 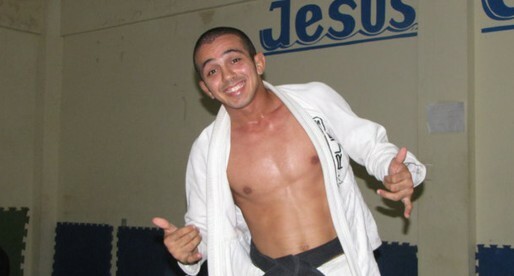 His skinny friend ended finishing Roberto 3 times with moves that he couldn’t comprehend, Abreu had never heard of Jiu Jitsu but after his friend told him that he just used the ‘Arte Suave’ on him, Roberto was convinced this was something he wanted to pursue, following his friend to Claudionor Cardoso’s gym the following day, where he started his tuition. 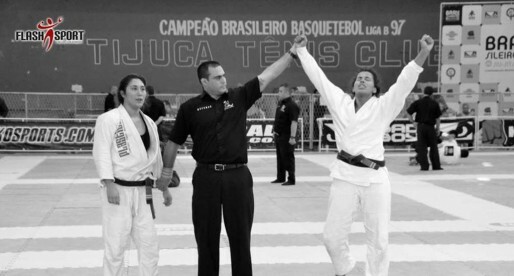 Roberto Abreu won his first competition with just two weeks of training, that win got Cyborg hooked to the sporting aspect of Jiu Jitsu, an enthusiasm he carried throughout his competitive career. Competing became one of Cyborg’s prime goals in life. 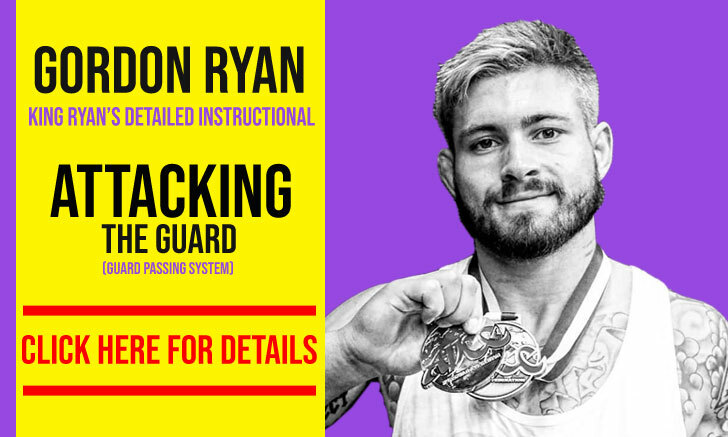 He often travelled to Rio de Janeiro to compete at the top tournaments in the world. When in Rio, Abreu prepared at Nova Geração, of Francisco Albuquerque, with who he created a strong bond. As a purple belt, Roberto opened his own gym and remained affiliated with Albuquerque. The school prospered quickly in a land eager to learn the arte suave, raising a strong team with hundreds of students and several world class competitors. Students that earned titles at important tournaments such as the Brazilian Nationals, the Mundial (World Championships), Pan American Championships as well as other important tournaments. Abreu remained one year as a purple belt, winning many important tournaments at this belt division, moving up to brown belt, where he remained for only 9 months, being awarded his black belt, on the day of his birthday (December 20, 2004) after 5 years of training. Master Francisco “Toco” Albuquerque tied the belt around Abreu’s waist himself. 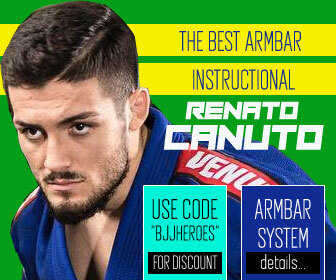 In 2010 Roberto Cyborg joined forces with a few world class competitors and friends, such as Rodrigo Cavaca and Marcus Buchecha (who were then coaching at ‘The Armory” in Florida), to form a different team named ‘The Avengers’. The team competed in a few local tournaments as well as at an international stage and was doing well, but as Rodrigo returned to Santos in Brazil, taking with him Buchecha, and the partnership ended. Roberto Cyorg – Homem de Coragem!! Nice Moves man..I love the tornado sweep and ur fireman carry..Very smooth man.. The state is Mato Grosso do Sul (MS), not Mato Grosso (MT). Tennho acompanhado o seu sucesso como lutador,especialmente essa luta com um Gracie ,aplicação do triangulo invertido ,sucesso.Tio Mario. Hi. Just to try to update the info: On his main achievments you can add Cyborg's wins in the 2010 No-Gi Championships in the Super Heavyweight and Absolute divisions. hi. doesnt cyborg represent Carlson Gracie team during the mundials? i think he did in 2008 and 2009. i could be mistaken. thanks. Campo grande isn't Mato Grosso(MT), it is Mato Grosso do Sul (MS), please correct it! You said hes expanding to Canada soon? where to? East or West Coast, Central? 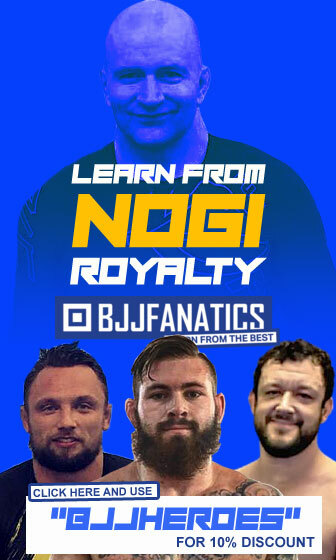 Did a seminar and private with Cyborg today. He’s an awesome guy and his love for jiu jitsu is very clear. Learned some great techs. and now ADCC ABSOLUTE CHAMPION!!!! !